Before the holidays when I was making some copies at a print shop I saw a calendar on the wall that said “Paper because…” Each page had an example of when the use of paper, as opposed to digital or online formats, is superior. The calendar was made by a paper company, which has a whole website called PaperBecause. Check it out if you are a dork like me. There’s a video on the website of a woman sniffing paper that she illicitly buys from the guy with keys to the stock room. Just so you know, this is not a plug for why we should all cherish and keep using paper in our daily lives. It does, however, remind me that I should share my love of my paper supplier with any fellow paper-lovers out there. Established in 1871, the French Paper Company is a sixth-generation, family-owned American company. And after 140 years of continual operation, French has not only persevered in an industry notorious for corporate acquisitions, name changes and outright shutdowns, they’ve emerged as one of the strongest, most consistent paper brands around. As one of the last remaining small, independent mills in America, French Paper takes their direction from customers, not corporate bean counters. They spend their days improving product lines instead of the bottom line. And when they talk about the quality of their stock, you can be sure they mean their papers, not shareholder value. Long recognized for their iconic designer paper brands including Speckletone, Dur-O-Tone, Pop-Tone, and Construction, their impact on the design world has been enormous. Their environmental footprint, however, is tiny. French uses no petroleum in the manufacturing of their papers, and instead generates their own clean, renewable energy. Hydroelectric generators installed on-site in 1922 have saved over one million barrels of fossil fuel to date. And French was an early pioneer of recycled, 100% post-consumer, and other environmentally friendly sheets. I think they’re a badass company, and aside from that, I really like their paper. 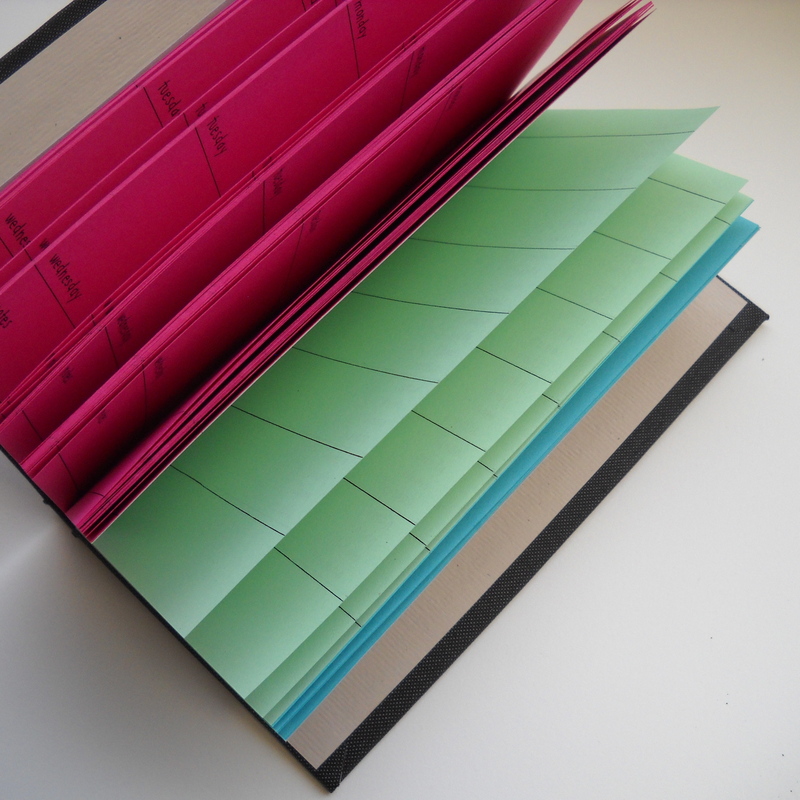 And now you know that your Rockpile handmade book was not only bound with lots of love and care by a real person in the USA, it’s also full of environmentally friendly, domestically made paper that’s also beautiful. And it smells good, too. This entry was tagged paper. Bookmark the permalink.